When it comes to coffee, we just can’t get enough. Although an estimated 80% of Americans sink several cups a day, they’re not the only caffeine cravers. In 2013, the BBC explored the impact coffee consumption may be having on us Brits, too. Now could be the time to get a hold of our caffeine habits - but first, let’s take a look at what makes it so hard for caffeine addicts to moderate their intake. Although people still may not realise it, caffeine is a chemically addictive drug. Without a chemistry degree, it can be difficult to understand why coffee becomes a vital lifeline that we depend upon. But in layman’s terms, our brains simply get used to the intake. 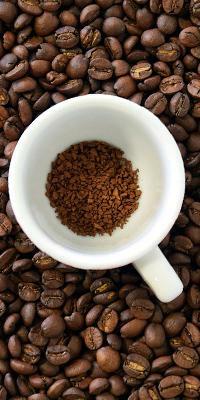 Caffeine gets into the brain and blocks the receptors for naturally-occuring adenosine. 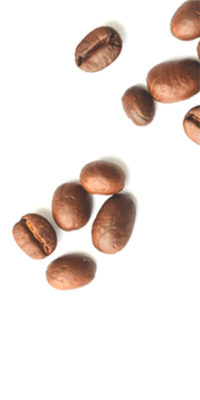 The filling of these receptors with adenosine is what contributes to tiredness, which caffeine interferes with. Blocked adenosine receptors can also cause the release of natural stimulants like dopamine and adrenaline, which make you feel, well, 'perky' and alert. Drinking coffee every day doesn’t have to be a bad thing - in fact, it can have some positive effects when consumed in moderation. Some studies claim that the body absorbs the antioxidants provided by coffee quicker than it does from fruit and vegetables. Drinking a few cups a day can keep you alert at the office and even improve concentration levels - making you more productive as a result. Coffee consumption only becomes an issue over time, as excess consumption means drinkers will build up a tolerance to the effects of caffeine - meaning they need to drink significantly more to achieve the desired ‘buzz’. The problem with consuming so much of the hot stuff is that, once we start drinking it regularly (and excessively), it stops giving us the ‘kick’ we crave. While caffeine consumption can have positive effects, too much of the drug can have some side effects. The ‘alert’ feeling we get from consuming coffee is exactly what keeps us going back for more - but if we have too much, we lose that feeling. With coffee shops more popular than ever, it’s easy to see how the coffee bean has become an essential part of daily life - particularly for employees who rely on a regular fix to bring some scrumptious sustenance to their working day. From alluring americanos to indulgent lattes, we just can’t get enough - and the key is to think about how much we drink. Living by the ‘everything in moderation’ mantra, coffee can be a tasty treat and a welcome perk during your working day. If you’re looking to control your caffeine intake, there’s no time like the present. Introduce some water to your work breaks and get the best of both worlds! Proven to help with brain activity and keep us alert throughout the day, there really is no substitute for H2O. 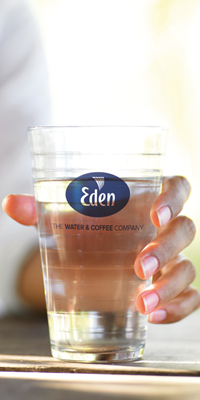 Coffee may be a tasty treat, but variety is the spice of life - and water is an essential part of our everyday. If you’re thinking about making some healthy changes, Eden Springs can help with that. 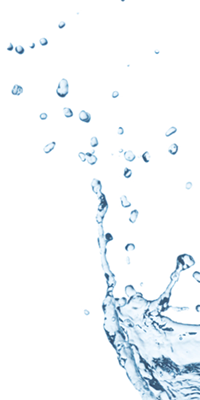 Check out our wide range of eco-friendly water coolers to hydrate your office today.